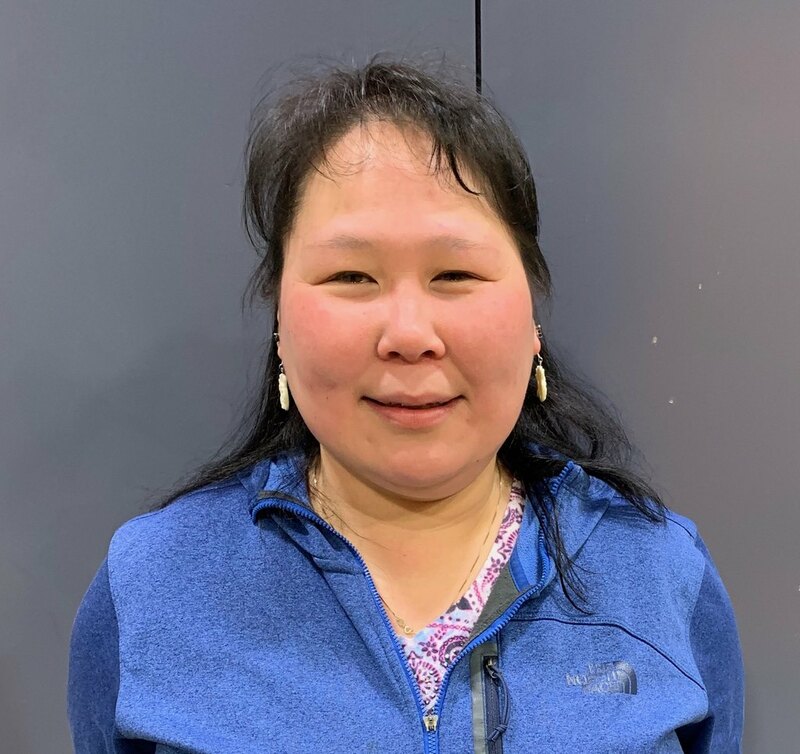 Nuka (Leslie) Westdahl of St Mary’s (originally from Bethel, former last name Venes) is the 2019 Kuskokwim Ice Classic winner! She is the single winner of the $12,500 jackpot with her guess of April 12 at 4:01 pm. The clock stopped on April 12 at 4:02 pm, but there were no eligible guesses for the exact date/minute. Congratulations, Nuka! Comments Off on Breakup Bash 2019 – Still Waiting for a Winner! 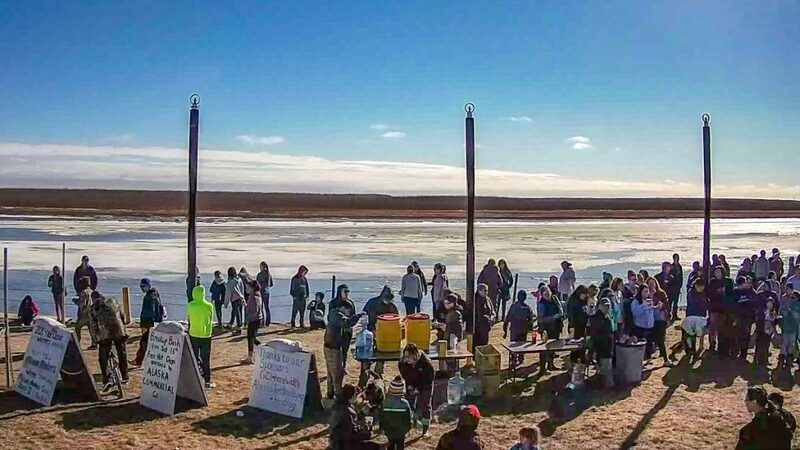 Hundreds of people enjoyed Breakup Bash in the sun along the river wall in Bethel on April 13. Alaska Commercial Company provided 1000 free hot dogs and buns and Paul Basile coordinated a lineup of entertainment that included the BRHS Dance Group, musician Chris Claus, KuC Dance Group and musician Jeremy Lee on a flatbed provided by Crowley. The bash received an unexpected visit from Senator Lisa Murkowski, who had attempted to travel to Eek but was weathered out. With an opening in her schedule, she was able come celebrate breakup with the Bethel crowd. 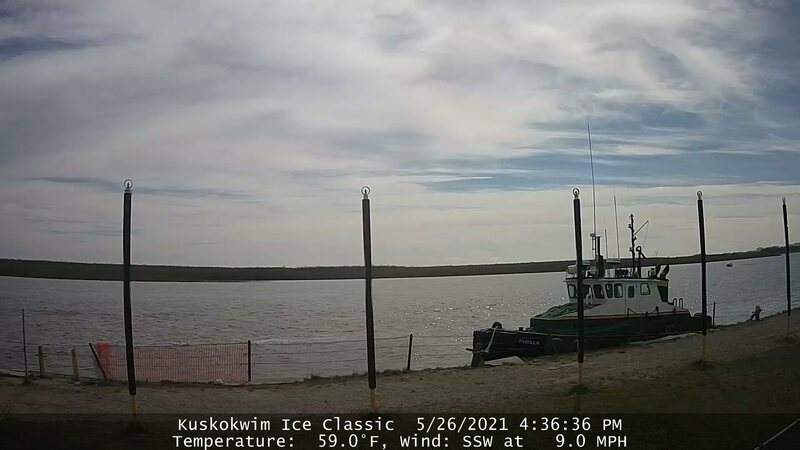 While the Ice Classic was able to congratulate the two Minute Madness winners in person at the Bash- Shaun Codman and Cezary Maczynski- there are still thousands of guesses to organize back at Kuskokwim Ice Classic Headquarters. We know our fans are excited to hear who is taking home or splitting that $12,500 jackpot- and so are we- but we just experienced the earliest breakup in recorded history in Bethel. With sales right up until the very last moment and guesses still being flown in from village sales locations, volunteers had no window of time to organize all of the guesses before the river broke up. Thankfully, there’s an awesome team working behind the scenes and efforts every night to organize the previous day’s guesses kept the logistics on track and mean that we will probably be able to determine the winner in a few days. An announcement in less than a week after breakup will be remarkable, given the accelerated timeframe of the 2019 breakup. So stay tuned, we will have more to be excited about as the week progresses. And what news of the tripod? It’s now on Joe Lomack beach. 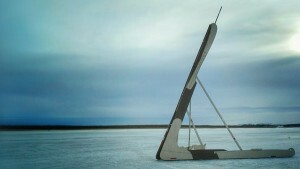 The Kusko Ice Classic should be able to retrieve it at the next high tide. Fingers crossed! 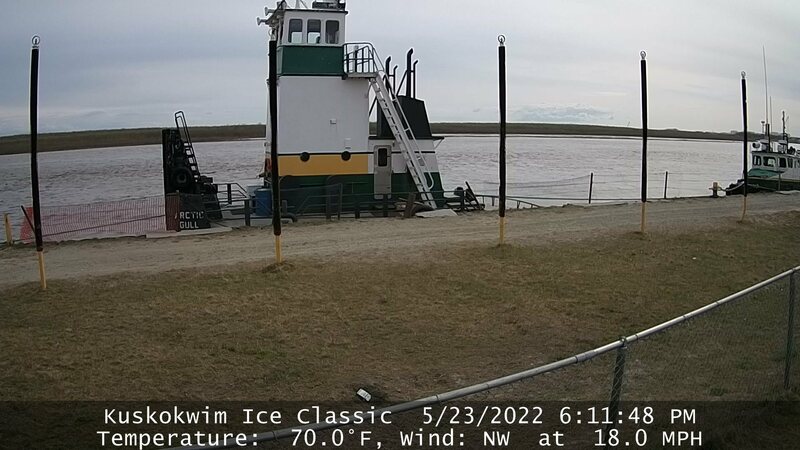 The 2019 Kuskokwim Ice Classic is over! 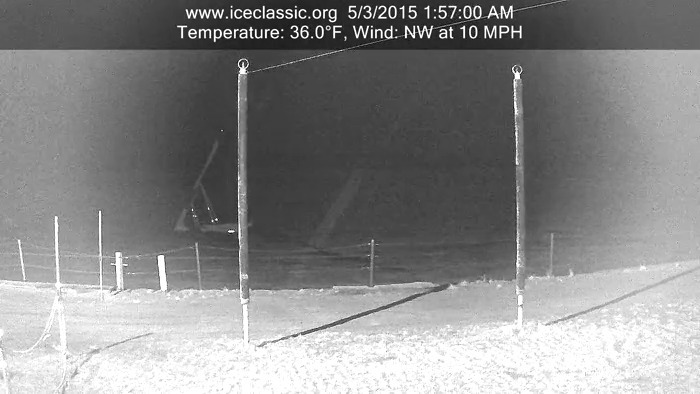 After tripod fell into the water yesterday, we have been watching and waiting and waiting… And waiting some more! It feels odd on the 12th of April to be talking about breakup, but it has happened. All ticket sales are now closed. Winner(s) will be announced soon!